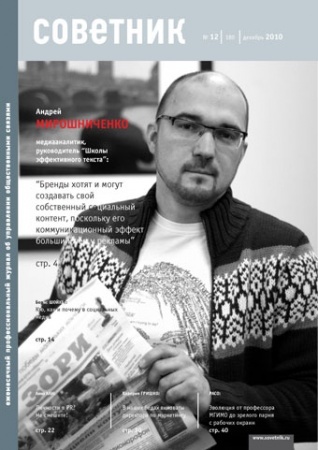 Hi, my name is Andrey Miroshnichenko. I am a media futurologist and journalist with 20+ years in the print media. I had been working as an editor in the press for more than twenty years, then wrote the book “When newspapers die” and left the sport. 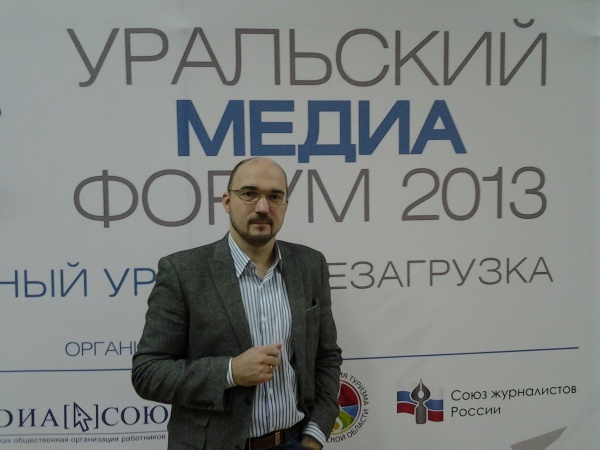 Since 2010, I have worked as a media theorist, consultant and columnist on media for various outlets. 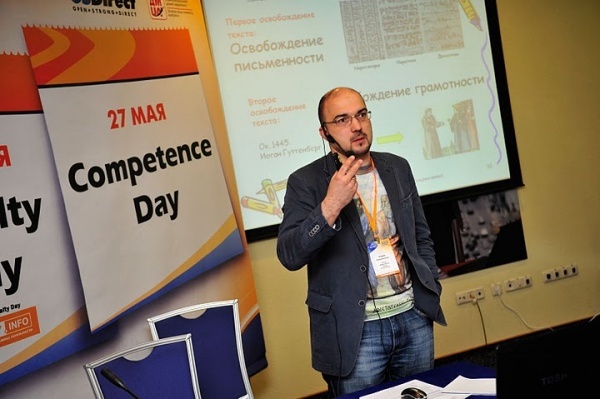 I am a coordinator for the Russian Association of Futurologists, a Fulbright-Kennan scholar (Wilson Center in Washington, DC, 2012-13). Currently I am a PhD student in communication and culture at York University, Toronto with the focus on media ecology, impacts of new media, and fake news. My previous dissertation, in journalism and linguistics, focused on semantic and linguistic structures of propaganda (1996). My books explore a range of ideas related to media in the areas of linguistics, politics, PR, corporate communication, journalism, transhumanism, and singularity. This blog is about old and new media. The new digital environment and the future of humankind are also covered, since any attentive exploration of media, being done fairly enough and far enough, inevitably leads to the concepts of Singularity and Posthumanity. 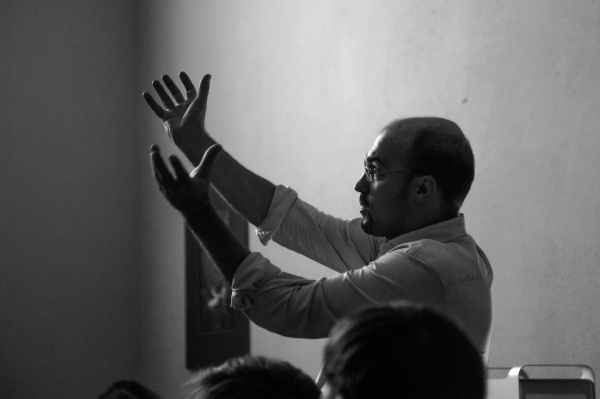 Find me on Facebook and LinkedIn; on Twitter – @Kazhdy. 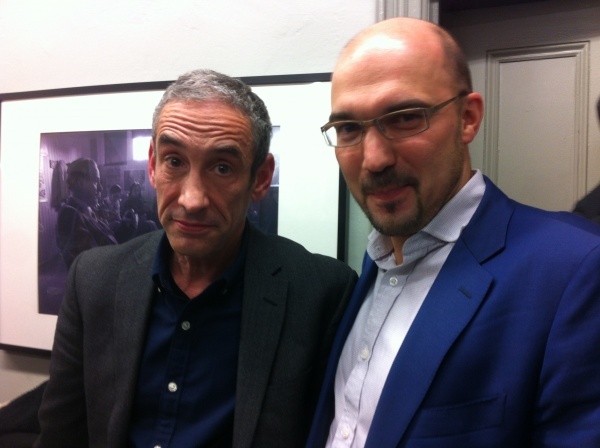 With Douglas Rushkoff at the McLuhan Centre for Culture and Technology (The Coach House), University of Toronto, April 2016. A workshop on corporate communications. 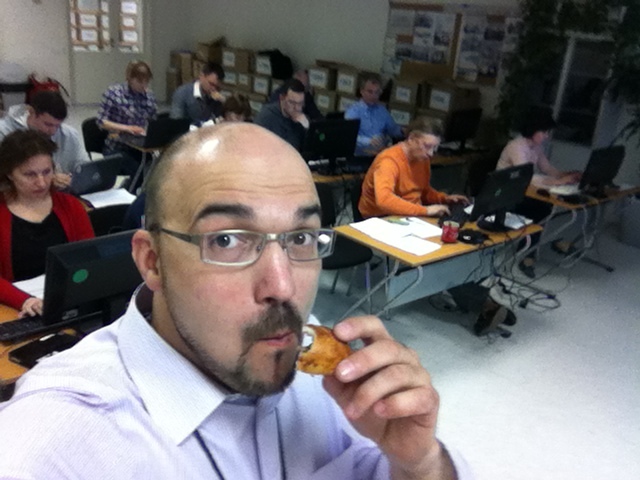 While the audience works, the coach eats pirogy. This is the right way to go. Moscow, April 2016. 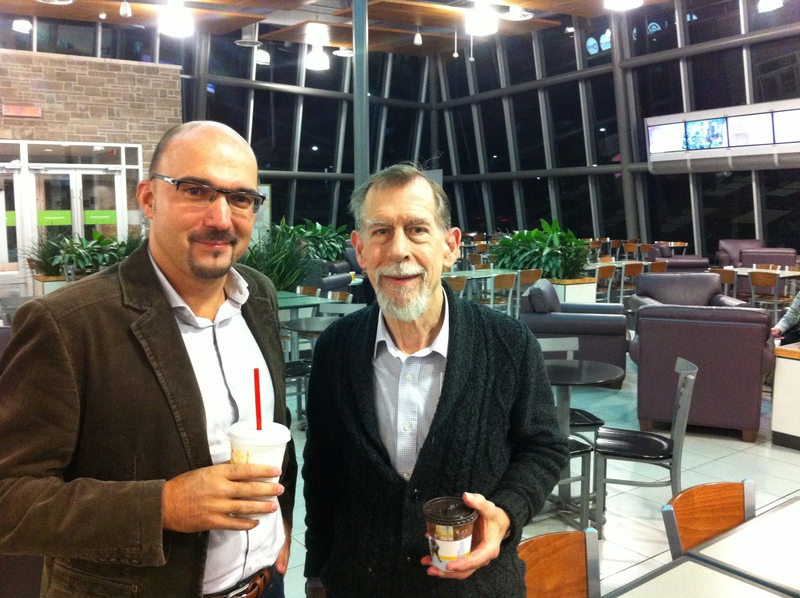 With Eric McLuhan, somewhere near Toronto. October 2015. 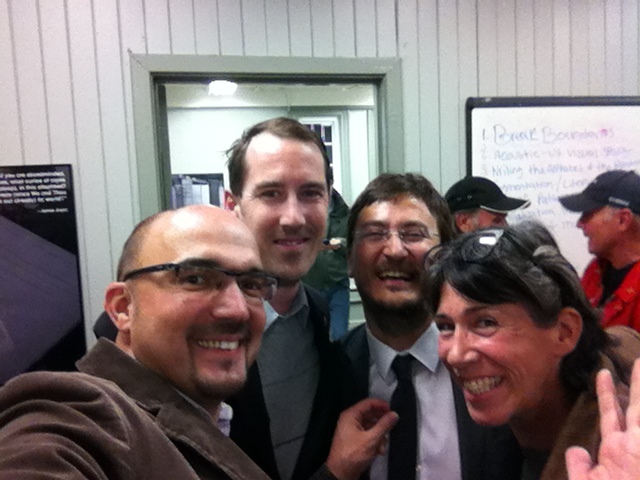 Celebrating re-launch of McLuhan’s Coach House activity in the 21 Century. Andrey Miroshnichenko, Andrew McLuhan, Paolo Granata, and Rita Leistner, the author of amazing book, Looking for Marshall McLuhan in Afghanistan. 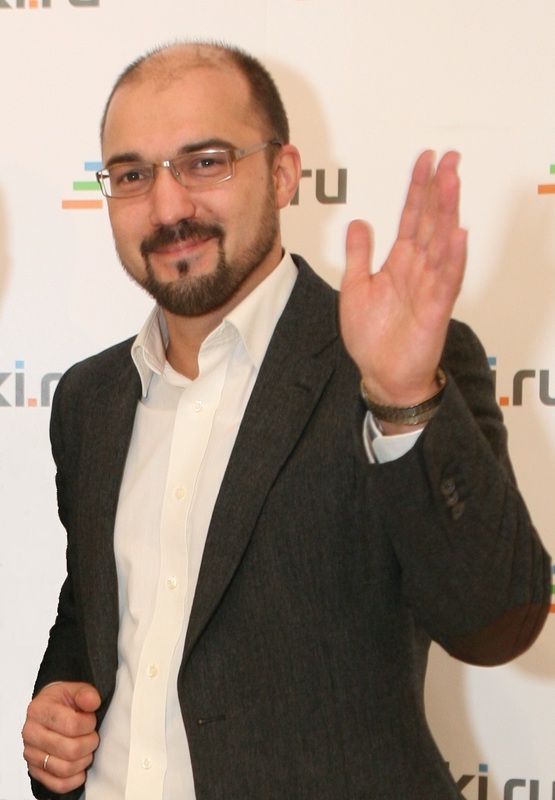 Torono, October, 2015. 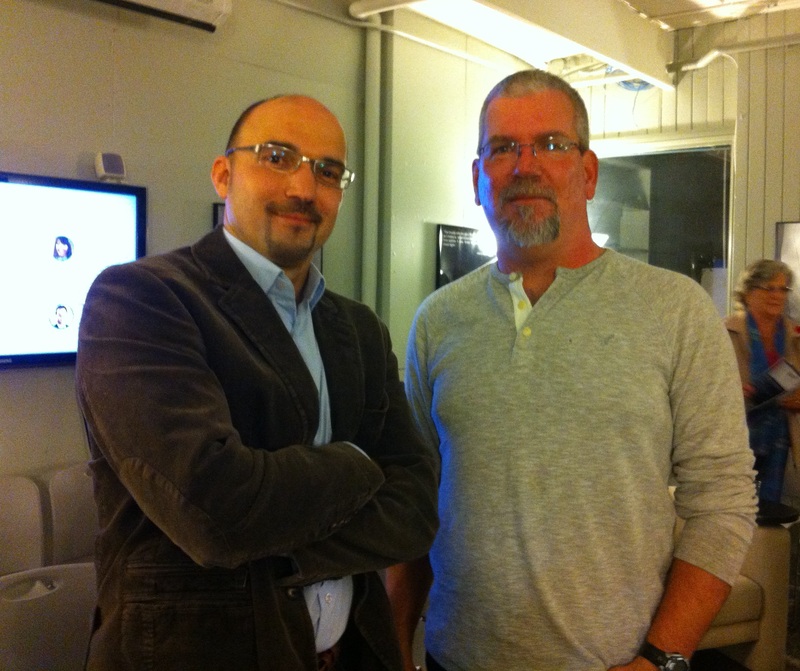 With Mathew Ingram (Fortune) at the Coach House. Toronto, November 2015. 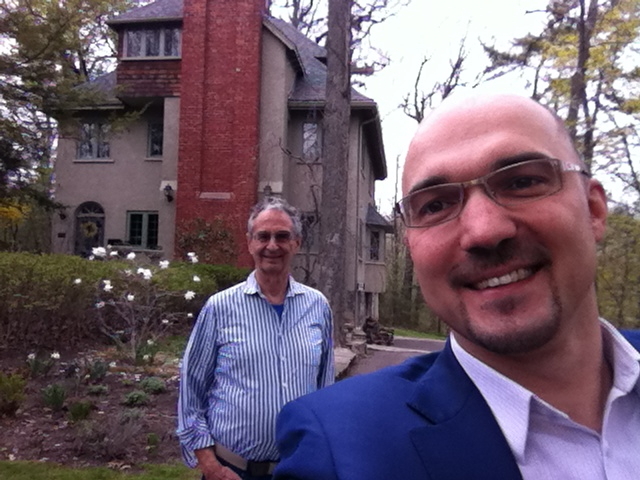 With Robert Logan, near Marshall McLuhan’s house in Toronto, May 2015. 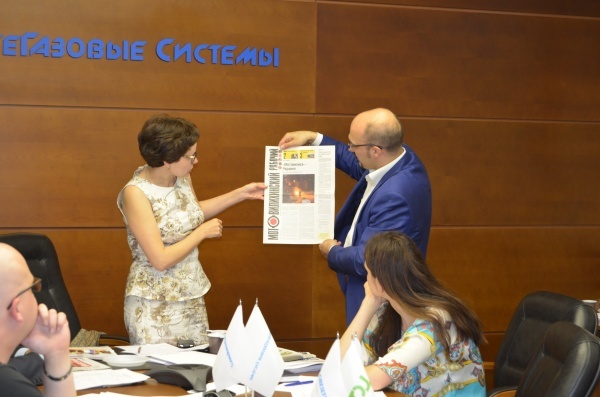 A workshop on corporate newspapers. Moscow, 2014. A seminar on multimedia journalism. Perm State University. Russia, April 2015. 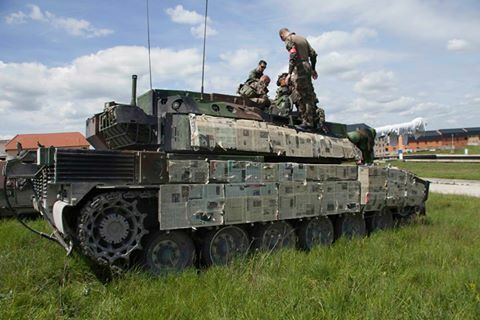 Chelyabinsk, 2014. 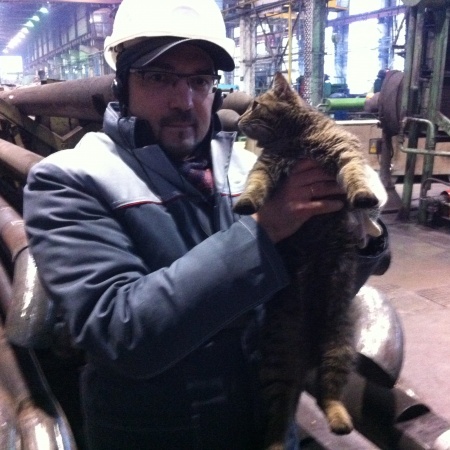 During the conference for press secretaries and corporate journalists at the United Metallurgical Company, with Cat the Steel Worker. 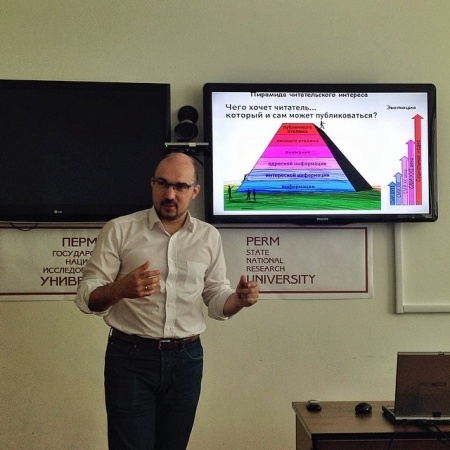 “The future of media and future media”, the open lecture at the Moscow State University, October 2013. 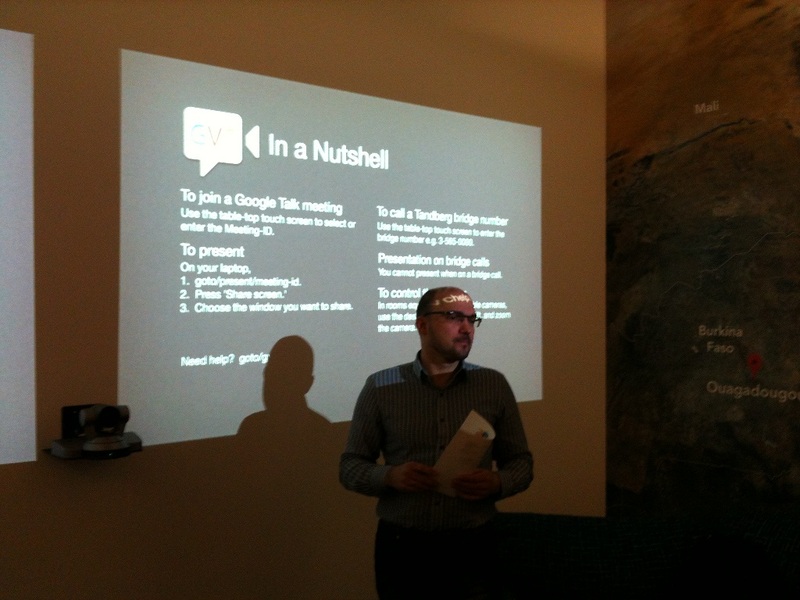 Google Talk at the headquarter of the company, Googleplex. Mountain View, California, 2013. 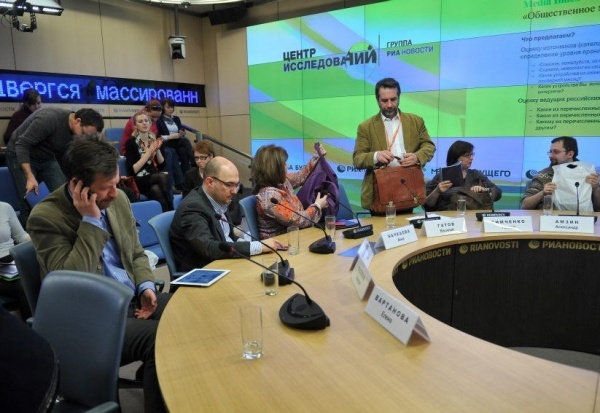 An expert panel on media market at RIA Novosti. Moscow, 2013. 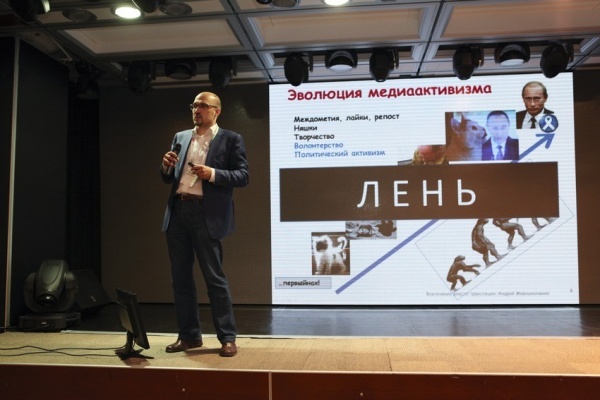 A billboard of Andrey Miroshnichenko’s seminar on journalism and the future of news. 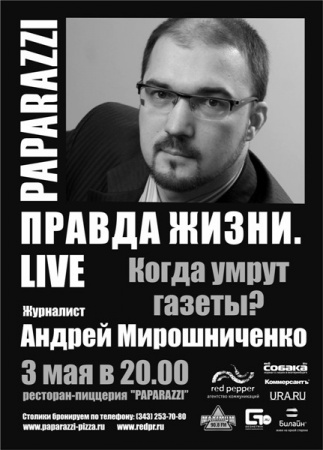 Yekaterinburg, 2011. 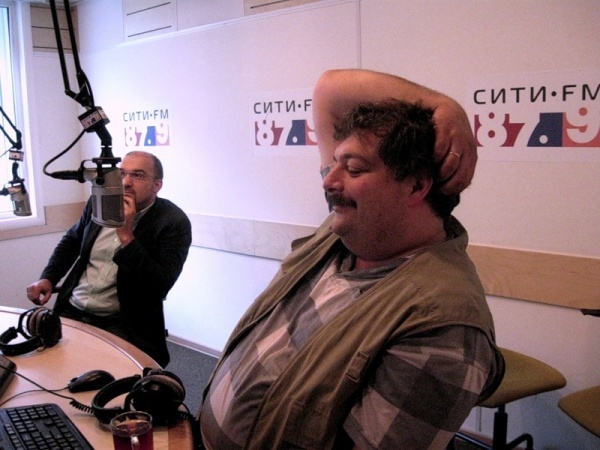 On the air with Dmitry Bykov. Radio City FM, 2010. On TV with Irina Hakamada. 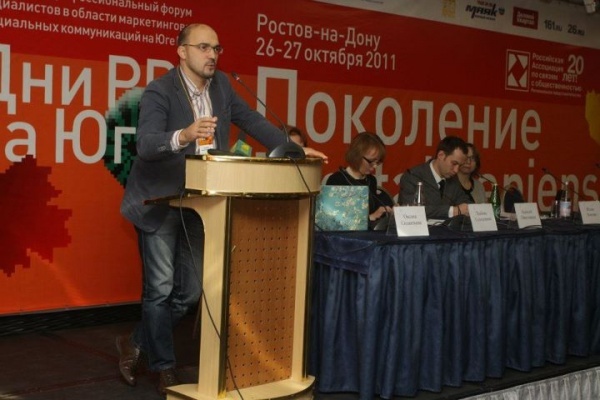 Moscow, 2011.